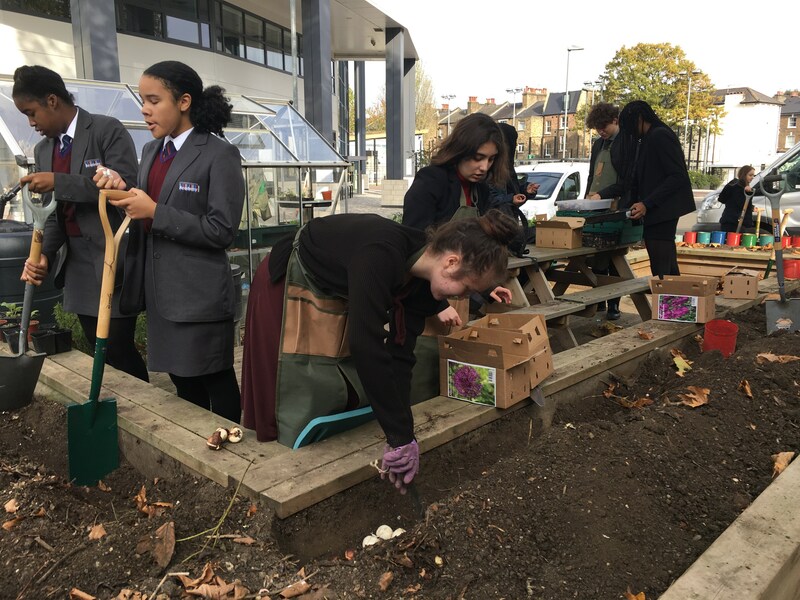 In the space of just three short years, the team at Hammersmith Academy have increased engagement with their garden from 30 students per academic year to over 500. Starting with a single greenhouse and a handful of raised beds in September 2015, the garden now has its own brood of chickens, an orchard, a new greenhouse and new raised beds, which have turned a once neglected area into a stunning and productive garden. The brood of chickens are looked after by the students. Pupils tend an orchard that was planted by them around one of their playgrounds. 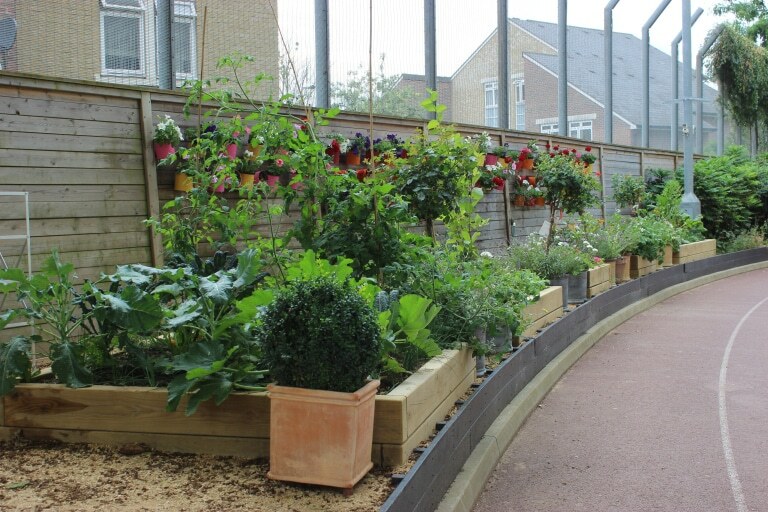 The school has installed a new greenhouse and new raised beds in which they grow vibrant flowering plants for a burst of jolly colour. They also grow fruit and vegetables, and attract insects with pollinator-friendly flowers, container ponds and bug hotels. They recycle materials such as old tin cans and wooden pallets to generate creative planting options which improve the look and practicality of the space. Most of the students at the school come from deprived backgrounds and over half of them do not have their own gardens. The school garden gives them the opportunity to engage with nature and has even enabled parents to engage with their children in a tranquil environment who would otherwise be unable to do so at home. 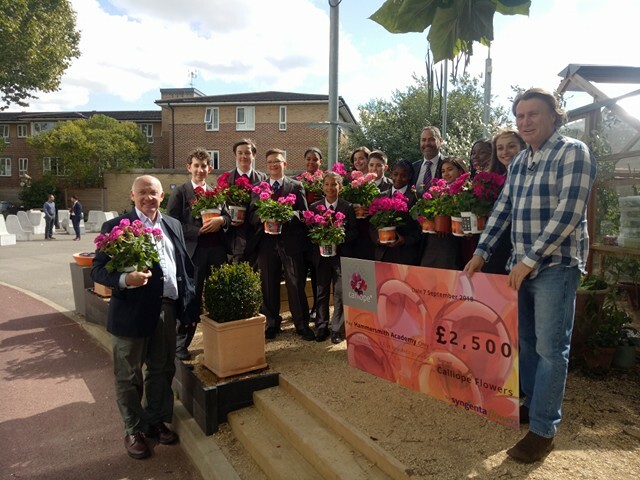 The students receive horticultural training from Hammersmith Community Gardens Association to whom they also sell their school-grown produce. They are also able to take home produce from the garden to use in their cooking. Through garden-related activities, the school teaches students to manage their mental health and promotes community values and environmental awareness. Students learn how to sow seeds, take cuttings, water and deadhead plants, collect seeds, harvest fruit and vegetables and make compost. These activities help them to develop life skills, learn how to work as a team and take responsibility. For two days a week, the school also runs an intervention for students with behavioural issues, which uses the garden as therapy.